According to an open letter signed by First Nations House of Learning Director Dr. Margaret Moss and Senior Advisor to the President on Indigenous Affairs Dr. Sheryl Lightfoot, three of about a dozen stakes that surround the pole were removed from the ground and forcibly inserted into the pole. Two of those stakes were inserted into existing cracks in the pole while a third was inserted into a carving. The pole showed no lasting damage. The incident was reported to Campus Security on March 29 by a staff member. In a statement to The Ubyssey, University RCMP confirmed they were informed of the incident on March 29. No suspects or witnesses have been identified and the case is ongoing. Moss and Lightfoot condemned the vandalism as being a profound act of disrespect toward victims and survivors of the Indian Residential School System. “... this condemnable act profoundly disrespects everything the pole represents, from the voices of the survivors of the schools, the memories of the children who died in them, the hopes of Indigenous peoples, to the honour of all Canadians who are striving to shake free from the darkness of the past to embrace a brighter future together,” reads the letter. 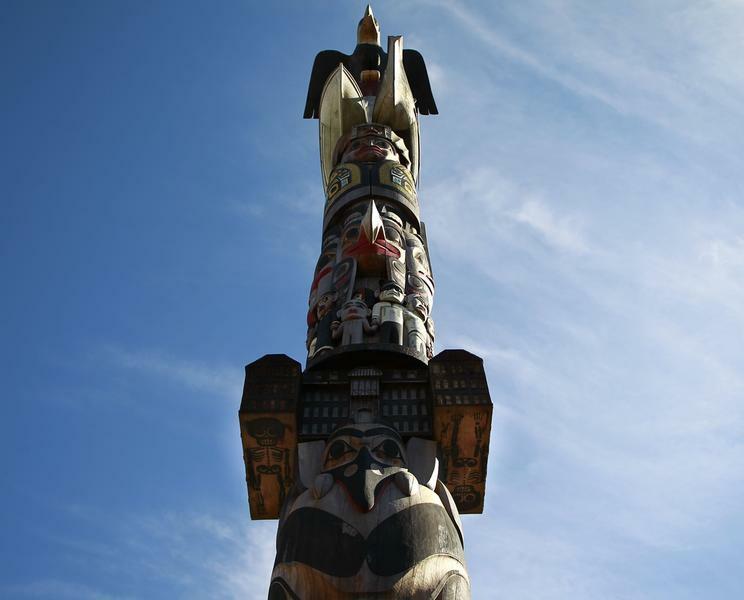 The Reconciliation Pole was installed on campus in April 2017 and carved by Haida Hereditary Chief and Master Carver 7idansuu, who also goes by the name James Hart. Its creation was funded by UBC and the Audain Art Museum Foundation. 7idansuu has been notified about the vandalism. “A Pole created out of RESPECT, empathy for our past, an understanding, a work of hope of working together in meaningful ways,” said 7idansuu in the open letter. The pole is adorned with depictions of the Indian Residential School System, wherein Indigenous children were forcibly enrolled in schools that were later found to have physically, emotionally and sexually abused many students. Canada’s Truth and Reconciliation Commission estimated over 6,000 Indigenous children died in the schools. In an interview with The Ubyssey, Moss said the defacing of the pole amounts to an attack on the story of colonization that the pole tells. In the interview and the letter, Moss described the pole as a member of the UBC community, and the vandalism as an assault on it. The letter added that a private cleansing ceremony was held on March 30, with representatives from the Musqueam Indian Band present as per a request from 7idansuu. Moss said that further events involving Indigenous elders and community members may also be underway. “... We cannot lose our respect. Carry your ancestors in your heart… Endeavour to persevere,” 7idansuu said in the open letter. Anyone with information is encouraged to contact the RCMP at 604-224-1322.